This post about the Shopbop April 2018 Event of the Season contains affiliate links. Please read this blog’s disclosure post for more info. Shopbop is here to help you prepare your closet for Spring and Summer! During the Shopbop April 2018 Event of the Season you can take up to 25% off your purchase. You’ll find there are tons of pretties to choose from! Secondly, I’m delighted by how many wrap dresses there are this season! 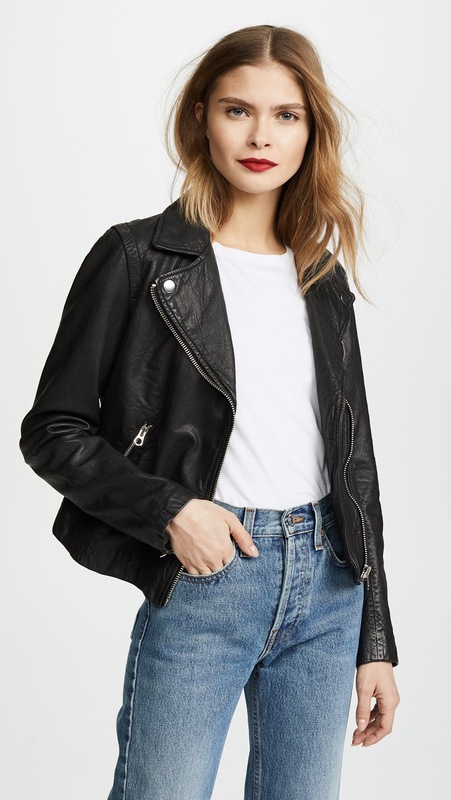 For example, Free People so rarely has full price promos, yet during the Shopbop April 2018 Event of the Season you can grab many FP favorites at up to 25% off. Their wrap dress options in this event include the Wrap It Up Dress ($68 + up to 25% off) and the French Quarter Printed Mini Dress ($128 + up to 25% off). Additionally, there are lots of other brands with their own wrap dress options, like the Nya Wrap Dress ($242 + up to 25% off) and the Juliette Wrap Dress ($78 + up to 25% off). The Shopbop April 2018 Event of the Season isn’t all about dresses though. As you know I’m a bit of a bag lover 😏 and Shopbop has so many pretties to choose from in this promotion! One of my latest additions is this beautiful patterned version of the Rebecca Minkoff Love Crossbody ($295 + up to 25% off), which can be yours at up to 25% off if you place an order now. (I also own and love the blush pink version.) The Pashli Mini Satchel ($695 + up to 25% off, in red and black) is a popular first investment bag with structure and chic shape. Over on the fun side, how cute is this Zac Posen Mini Backpack? It also comes in blue. I’m also drooling over the Straw Circle Tote ($295 + up to 25% off) which says ‘vacation’ to me. And makes me want to immediately book my next Hawaii trip! If you saw my Cult Gaia Bag dupe options yet are still leaning towards the real thing, you’ll find the small and mini sizes included in the Shopbop April 2018 Event of the Season. I’d be remiss if I didn’t mention Madewell here too. Most Madewell promos exclude their very popular Transport collection. Yet the Shopbop April 2018 Event of the Season includes many Madewell items, including these wonderful bags! You can add versatile bags like the Transport Weekender ($298 + up to 25% off) or at a smaller form factor the Drawstring Transport Tote ($178 + up to 25% off, also in mini) to your wardrobe today. 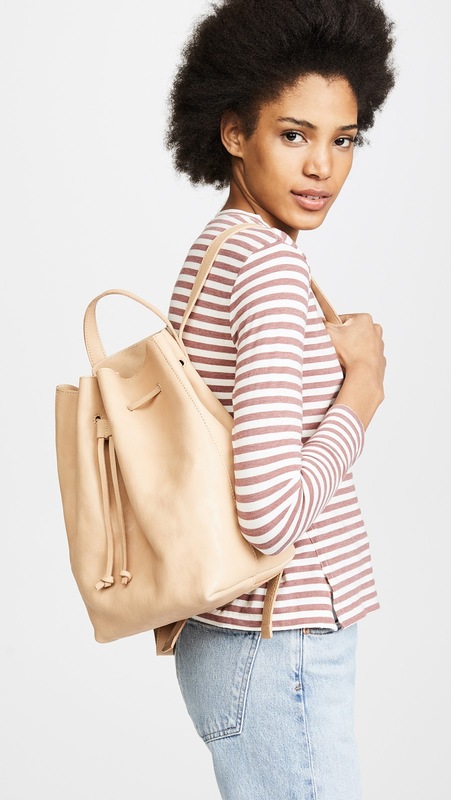 During the last Madewell promo I purchased the Drawstring Rucksack ($198 + up to 25% off, above) and now you can have it too! Beyond Madewell you’ll find cute ruffle tops, so many great blazers and other everyday essentials. Want further inspiration? Check out Shopbop’s mini shops, like their guide to matching sets, pretty pastel outfits, slingback stunners and off-duty options. Below, all my picks for the Shopbop April 2018 Event of the Season! What might you invest in during this special offer? I love that polka dot dress and all those handbags are fabulous!! I definitely made sure to scour the bags but now you’re making me want to go back and look through all the dresses!! So many great picks! Love all of the florals out for Spring! SO many amazing finds! I am dying for the Loeffler Randall Round Straw bag! This is one of my favorite sales! I love your picks. I want the victoria beard floral dress. I may have to purchase….. Seriously want ever single dress you shared! They’re all so cute. I love shopping Shopbop’s sale. So many good deals! I am loving this polka dot dress, especially for Spring and Summer! I bit on the Golden Goose sneakers ! This sale is seriously amazing – I can’t stop shopping! Love your roundups! Love all of your picks!!! So cute!